A swimming pool is a fantastic addition to your backyard and is the source of hours of fun with family and friends! Unfortunately, it can also be the source of lot of work and responsibility. Maintaining a clean and chemically balanced pool is extremely important for protecting the health of your family and friends that swim in it. It is also extremely important in terms of protecting your backyard investment. 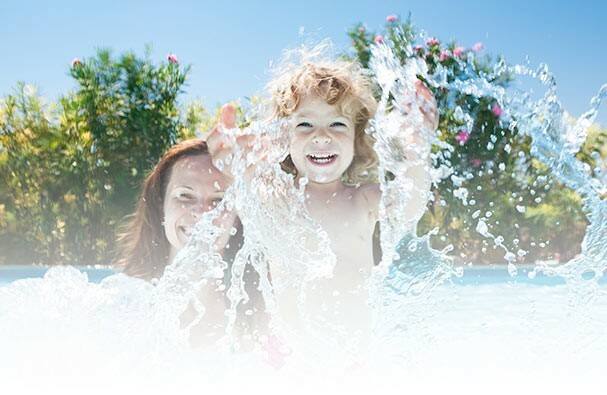 In addition to potentially being the source of water-borne illness and disease, unbalanced pool chemistry can cause significant and costly damage to your pool equipment including the liner, pump, filter, and heater. In fact, you may not even be able to tell that your water is dangerously out of balance by just looking at it. Clear water is not necessarily chemically-balanced water. 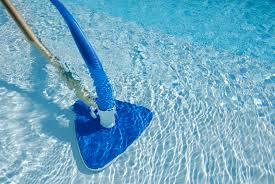 The need for regular cleaning and chemical testing/balancing of your pool cannot be understated! Given how short the pool season is in Canada, who wants to spend their valuable days off cleaning and balancing their pool water when they could be relaxing in it instead? At Breezewood Pools, it is our priority to make your pool maintenance experience carefree and simple! Whether you require full-service ongoing weekly maintenance, temporary vacation service, or just some help clearing up a green pool, we have a package to suit your needs! Our expert team will make sure you get the pool maintenance service you require to keep your pool beautiful, clean, and chemically balanced all season long! 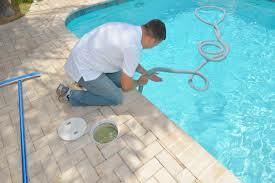 In addition to balancing chemicals, we add regular maintenance chemicals to your pool as well. These include sanitizer pucks, weekly shock, stain prevent, and algaecide. In addition to balancing chemicals, we add regular maintenance chemicals to your pool. These include sanitizer pucks, weekly shock, stain prevent, and algaecide. Billed on an hourly basis, plus HST and the cost of chemicals (please contact us for a quotation). Have the Breezewood team take care of the first vacuum of the season, which is often the most challenging one! Alternatively, if you are planning an event, going on vacation, or simply don’t have the time to clean your pool at some point during the season, we can help! We offer the same services described above in our “Deluxe Service” weekly package, on a “one-time” (or more!) basis. Contact us for more information or for a service quotation. All service packages are available to begin in early May. Once September arrives and our student staff members return to school, regular service switches from weekly to biweekly. Maintenance service ends for the season as of September 30 as our personnel are fully engaged in pool closings by that point.